Amanda Rodier (’19) is an illustrator in her first year on the staff. Rodier wants to go to the Savannah College of Art and Design and is in National Art Honor Society. 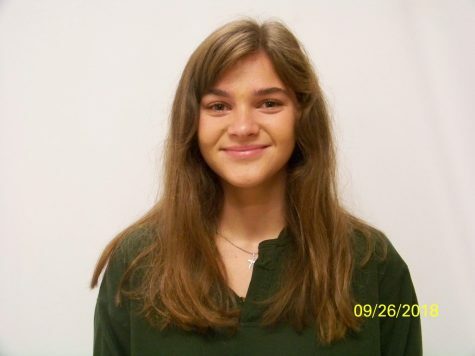 She is also a member of the Spanish National Honor Society and an editor for the yearbook. In her free time, she enjoys dancing, working with kids, and helping out at her church. She’s a Capricorn, her favorite color is yellow, her favorite band is Fleetwood Mac, and she loves her betta fish Robert Von Winkle.